Anticipation! What Does He See? “Anticipation” is available in limited edition canvas prints. 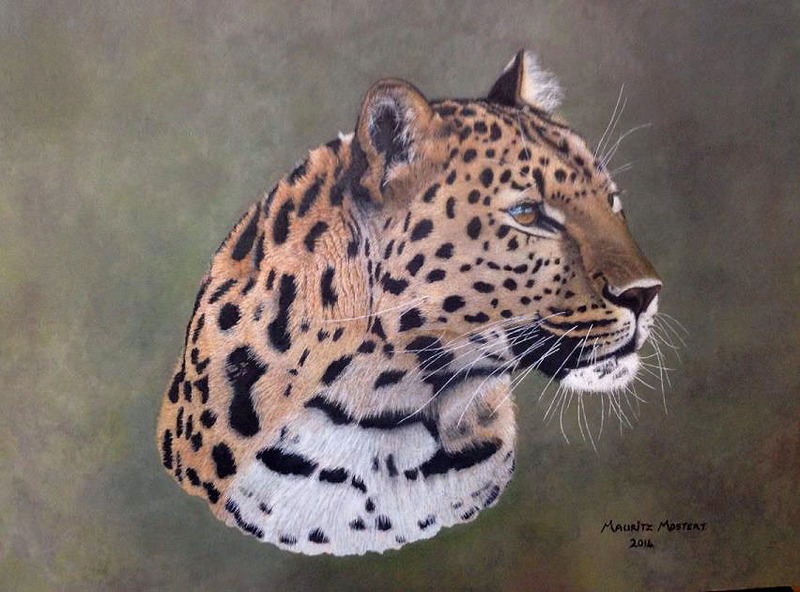 This magnificent leopard is the first in a new group of Mauritzs’ work, featuring the big five in portrait form. 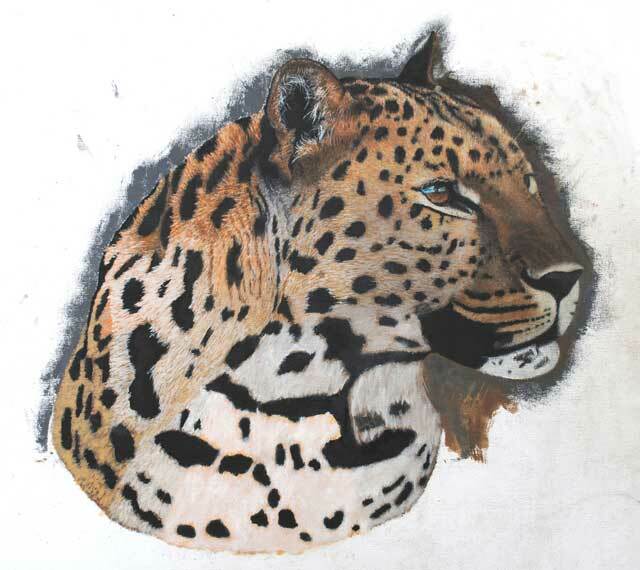 Painted in oils on canvas board, this leopard portrait measures 44 x 61 centimeters or 17 x 24 inches. The die was cast two generations ago, when Mozs’ grandfather settled on the edge of what is today known as the Kruger National Park. Decades of family involvement in wildlife conservation, ecology and tourism followed. 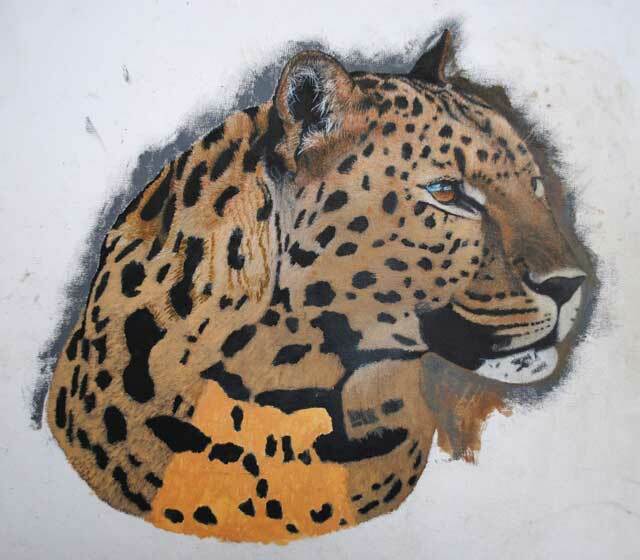 The young Moz grew up in the Timbavati bushveld, indelibly influenced by the stark beauty of Africa and her animals.